A strange brew found in Ulura, Australia. I don’t think it has any hemp in it, however. “Alaska voters have a large degree of respect for personal liberty and freedom, and that’s reflected in the poll numbers we’ve been seeing,” said Mr. Bickford. A newly released survey shows the idea already has significant public support. A Public Policy Polling survey posted Wednesday found 55 percent of registered voters polled agree with legalizing pot for recreational purposes, with 39 percent opposed. Opposing the measure is Smart Approaches to Marijuana, a year-old group founded by former Rep. Patrick J. Kennedy, Rhode Island Democrat, that favors decriminalization for pot smokers but not legalization. “We’ve been approached by Alaskan treatment and prevention providers to offer advice,” said SAM co-founder Kevin Sabet. So far Alaska’s leading elected officials haven’t said much about the issue, although the Marijuana Policy Project is lobbying for the support for Rep. Don Young, Alaska Republican, who backed a House bill last year to protect marijuana businesses from federal prosecution as long as they comply with state law. “It’s a states’ rights issue, period,” Mr. Young told the Alaska Dispatch. The marijuana measure would appear on the primary ballot alongside a number of other high-profile contests. Republicans are waging a contested Senate primary to decide who will face vulnerable Democratic Sen. Mark Begich in November. The ballot is also expected to include initiatives on repealing a tax cut for oil companies and boosting the minimum wage, which could increase voter turnout. The Alaska initiative hews closely to the language in the Colorado and Washington measures, which legalize small amounts of marijuana for adults 21 and over. The sale and cultivation would be regulated by the state in a manner similar to that of liquor. The state Alcoholic Beverage Control Board would have regulatory oversight over recreational marijuana, but the state legislature would have the option of establishing and shifting authority to a Marijuana Control Board. The measure also calls for a $50 per ounce excise tax for sales or transfers of marijuana from a cultivation facility or a store. Local governments could opt out by banning retail sales in their jurisdictions, although marijuana use and possession would still be legal. The campaign doesn’t have an estimate yet on how much revenue would be generated under the initiative, but “what we do know is that a lot of jobs are going to be created, there will be a significant economic boost, and the state will have a new source of tax revenue,” said Mr. Bickford. The biggest losers would be those now profiting from marijuana sales, he said, namely dope dealers and criminal syndicates. “We expect to put a lot of drug dealers out of business by selling marijuana over the counter in a regulated market instead of on the black market,” said Mr. Bickford. Alaska, known for its live-and-let-live lifestyle, is poised to become the next battleground in the push to legalize the recreational use of marijuana. The state has a complicated history with the drug, with its highest court ruling nearly 40 years ago that adults have a constitutional right to possess and smoke marijuana for personal use in their own homes. In the late 1990s, Alaska became one of the first states to allow the use of pot for medicinal reasons. Then the pendulum swung the other direction, with residents in 2004 rejecting a ballot effort to legalize recreational marijuana. And in 2006, the state passed a law criminalizing possession of even small amounts of the drug — leaving the current state of affairs somewhat murky. Supporters of recreational marijuana say attitudes toward pot have softened in the past decade, and they believe they have a real shot at success in Alaska. The state is reviewing their request to begin gathering signatures to get an initiative on next year’s ballot. The proposal would make it legal for those 21 and older to use and possess up to 1 ounce of marijuana, though not in public. It also would set out provisions for legal grow operations and establish an excise tax. It’s a significantly different version of the failed 2004 ballot effort that would’ve allowed adults 21 and older to use, grow, sell or give away marijuana or hemp products without penalty under state law. “The whole initiative, you can tell, is scaled down to be as palatable as possible,” said one of the sponsors, Bill Parker. If the initiative application is accepted, backers will have until January, before the next legislative session starts, to gather the more than 30,000 signatures required to qualify the measure for the primary ballot. The effort could determine whether the pendulum swings back. The Alaska Supreme Court, in its landmark 1975 decision, found possession of marijuana by adults at home for personal use is constitutionally protected as part of their basic right to privacy, though the court made clear it didn’t condone the use of pot. The laws tightened again with a 2006 state law criminalizing marijuana possession. The American Civil Liberties Union sued, saying the law conflicted with the 1975 ruling. The state maintained marijuana had become more intoxicating than in the 1970s, a point disputed by ACLU. But the high court, in 2009, declined to make a finding, concluding any challenge to the law must await an actual prosecution. Parker said the lack of clarity regarding marijuana possession is a problem, but he noted police aren’t exactly peeking into people’s homes to see if they have the drug. Deputy Attorney General Richard Svobodny said in an email that home-use marijuana cases in Alaska are few because authorities have no reason to get a search warrant unless something else is going on inside a house that attracts their attention. The proposed initiative includes language that says it’s not intended to diminish the right to privacy interpreted in the 1975 case. But it notes that case is not a “blanket protection for marijuana possession,” said Mason Tvert, a spokesman for the Marijuana Policy Project. “In order to have a system where individuals can go to a store, buy an ounce of marijuana, drive home, and enjoy it at home, it is necessary to make up to an ounce of marijuana entirely legal,” Tvert said. Alaska is one of many states mulling changes to marijuana laws. Last fall, voters in Colorado and Washington state passed initiatives legalizing, taxing and regulating recreational marijuana. This year, bills were filed in more than half the states to enact a medical marijuana law, decriminalize or reduce penalties for simple possession, or to tax and regulate marijuana for adult use, according to the Marijuana Policy Project. However, many of those proposals died, stalled or will be carried over. Tvert said his group is working to promote initiatives allowing recreational marijuana in a handful of other states, including California, Oregon, Maine and Nevada. He thinks those states will be ready to pass such a measure in 2016. “Ultimately we are starting to see the marijuana policy debate shift away from whether marijuana should be allowed or prohibited and toward how we will treat it,” Tvert said. The U.S. Justice Department has not said how it will respond to the laws in Washington and Colorado. 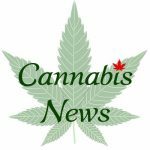 A bipartisan group of congressmen, including Alaska’s lone U.S. House member, Don Young, recently introduced legislation that would ensure the federal government respects stat e marijuana laws. For the Republican Young, it’s a states’ rights issue, his spokesman said by email. Alaska Gov. Sean Parnell, who consistently has fought the feds when he believes they’ve overstepped their bounds, supports a state’s right to establish its own laws and appreciates Young’s effort, Parnell spokeswoman Sharon Leighow said. But he also considers marijuana a “gateway drug that can lead to more serious patterns of substance abuse and criminal offenses,” she said by email. He has not stated his position on the proposed initiative. Alaska voters may get the chance next year to make their state the third in the country to approve the recreational use of marijuana by adults 21 and older. Backers of the move on Tuesday took the first step toward getting the measure on the August 2014 primary ballot. Three prime sponsors of the effort filed their application for an initiative petition along with signatures from what they say are at least 100 other supporters with the state lieutenant governor’s office. The group is led by Tim Hinterberger, an associate professor at the University of Alaska Anchorage. The other two prime sponsors are Bill Parker and Mary Reff, according to Gail Fenumiai, state elections director. The measure would tax and regulate marijuana sales and allow Alaskans to cultivate marijuana for personal use. Among other things, it would allow the Legislature to create a Marijuana Control Board, though until then, the Alcohol Beverage Control Board would regulate marijuana sales. Alaskans age 21 and older could legally possess up to one ounce of marijuana under the proposal, or six marijuana plants, three of which could be mature. If state officials decide everything’s in order after a 60-day review, backers will have until mid-January to get signatures from another 30,169 people — 10 percent of the number who voted in the last general election — to force a vote, said Steve Fox, the national political director of the Marijuana Policy Project, a pro-legalization group in Washington. The Marijuana Policy Project is working with the local committee. The signatures would have to be gathered from at least 30 of the state’s 40 House districts, under procedures specified in the state constitution. Alaskans rejected a legalization initiative in 2004, with only 44 percent of the state’s voters backing the idea. But Alaska’s marijuana laws are among the most liberal in the nation. In 1975, the state’s Supreme Court ruled that a person’s privacy included the right to possess up to 4 ounces of marijuana in his or her home — which is more than the new proposal would allow.